How Much Do The Most Expensive Materials Cost? We are more or less aware of the price of a gram of gold, we know that is one of the most precious materials on Earth. But where would it be placed in a top of the most expensive materials in the world? Rhodium has the ability to increase the hardness of different materials and is quite valuable for glass and automobile manufacturers, being used for catalytic converters to transform foul gases into non-toxic gases, such as nitrogen or carbon dioxide. It is a noble and rare metal, used extensively in laboratories. Every year, suppliers are able to draw only a few hundred tones of this rare and precious metal. Platinum is a precious metal, very non reactive, which makes it more resistant to corrosion and chemicals, even at high temperatures. As a result, platinum is widely used to manufacture medical, dental and laboratory equipment. During economic downturns, gold is a craved investment having a quite steady and high price. But it is also used for industrial purposes or for jewelry. So far, over 188,800 tones have been exploited, and there still are about 56,000 tons of gold deposits that need to be excavated. Helium-3 is when radioactive Tritium decays. It is attractive to researchers for its potential in developing “clean” nuclear energy, but unfortunately, helium-3 is rare on Earth; from 1989, NASA explored the possibility of extracting the gas from the lunar surface, where it is deposited with the help of solar winds. Red beryl is so rare that it has been discovered only in a few places on Earth, specifically in a few mines from Utah and New Mexico. The crystal, which is used for jewelry, has a hardness a bit lower than the diamond’s, but is a little harder to find due to its rarity. Beryllium is a group of minerals that are colorless in their pure form. They only have a nuance when they contain impurities. Although the most nuances transform them in green or blue crystals – emeralds and aquamarine – the rare red beryl’s color is due to iron, chromium, calcium and magnesium. Although radioactive plutonium has a bad reputation, it is indispensable to scientists. It is used as fuel for nuclear reactors, but also to power satellites, which require an efficient source of energy for the long distances they travel. Plutonium-based batteries also power Voyager 1 – the spacecraft that reached the edge of our solar system – and that could continue its journey until 2025. If your watch hands glow in the dark, you’re holding a small fraction of the radioactive isotope tritium. The hardness of a mineral is measured on the Mohs scale; diamonds with a score of 10, are on the top of the scale. They are formed by the immense pressure inside Earth, being the hardest material on the planet, and there are quite many. Their durability makes them useful especially for industrial applications, where every year around 70% of them are being used, or tools such as dental drills or ultrafine saws. Their price depends on color, clarity, cut and weight. 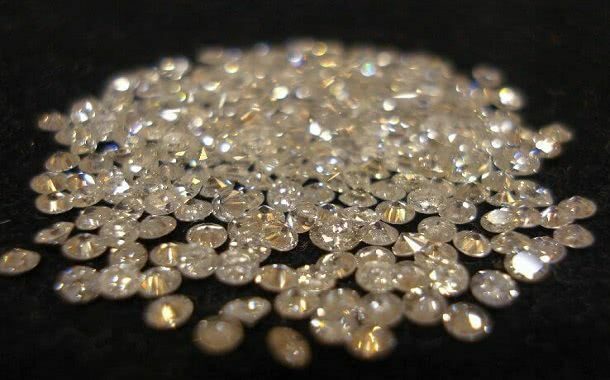 Large diamonds without defects, are usually the most expensive, because they are very rare. Californium is a man-made element, which occurs when scientists bombard the chemical element curium with alpha particles. The resulting item is a radioactive material. There are 10 known versions of this material and it can be used to treat certain forms of cancer and to detect gold and silver in various ores. Antimatter – a mirror image of the existing material world –it is very difficult to produce: physicists can create it only in the world’s largest particle accelerator – the Large Hadron Collider near Geneva, Switzerland. So far, only about one billionth of a gram of antimatter can be produced per year. It’s so rare that its potential uses are largely unexplored. One area where the material shows a possible practical application is for treating cancer. Researchers have found out that if the anti-matter is directed to the tumor, it is very efficient in destroying the cancer cells, although its clinical use is far from being implemented. This is a very interesting subject, even though most people won’t afford anything more than platinum at most. A great thing to notice in this particular article is that at at the time the article is written, platinum has a lower price than gold. As you might know, this isn’t something that happens too often. Here’s a great tip for any average working Joe. Don’t try to get an engagement ring made of antimatter. It will be kind of costly and it won’t be easy to wear. https://www.thepricer.org/wp-content/uploads/2015/12/most-expensive-materials.jpg 380 610 qSign http://www.thepricer.org/wp-content/uploads/2016/11/pricerlogonew.png qSign2015-12-15 02:53:022015-12-15 02:53:02How Much Do The Most Expensive Materials Cost? How Much Does a Wearable Smart Charger Cost? How Much Does a Christmas Tree Cost?